Restoring a house in a 100% authentic manner? Consider using old lumber. 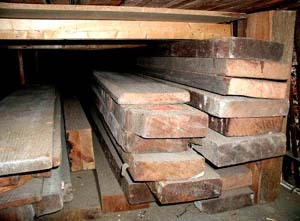 We offer original rough-sawn floor joists, studs, rafters, sheathing, beams, etc. Please contact us for pricing and availability.